September 11, 2011...was probably the biggest event in many of our lifetimes. It's like a song. You can sometimes remember where or who you were with the first time you heard it. I remember getting myself and my kids ready for our day that day. Watching the television in utter shock. I'll never forget that day. I'll never forget that year actually. Eight days after September 11th, my Dad passed away. You never forget the feeling of losing a parent. Two weeks later on October 1st, I moved to an apartment that as a single Mom I could finally afford. It was a very crazy year! Life is full of big events. Births, weddings, graduations, first homes to name just a few. Big days that should be remembered in style with a stylish and special card. 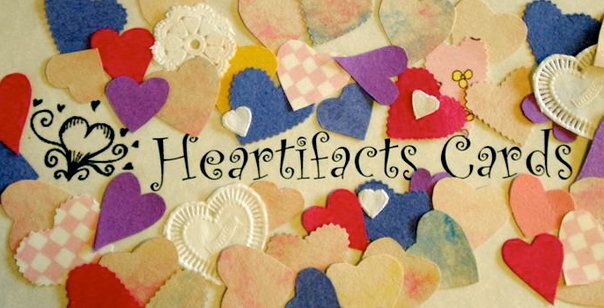 A Heartifacts Card. Look at your calendar and give me a call today so we can mark that special day in style! 805/296-8671.